Like I mention before. I like trying new, different supplement and brands. Some workout supplements are just a waste of money, but other times I find really good bodybuilding supplements. Unfortunately this not the case for Whey Protein from Six Star Pro Nutrition. This whey protein supplement lacks something. I personally do not like Six Star: Whey Protein. I took it for 4 weeks and did not notice any visible results. Also it gave me a bloated belly almost every time I drank it. 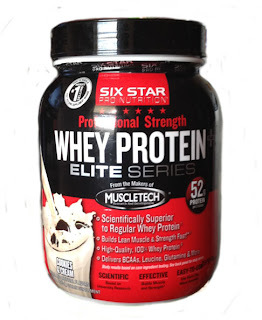 On the bright side, Six Star: Whey Protein taste very good, at least the Cookies & Cream and the vanilla flavors.